Brazil’s President Lula has signed a contract allowing the construction of the hugely controversial Belo Monte mega-dam on the Amazonian Xingu River to go ahead. Belo Monte, if built, will be the third largest dam in the world. It will devastate the local environment and threaten the lives of the thousands of indigenous people living in the area, whose land and food sources will be seriously damaged. Experts have warned that the project has serious design flaws. It was described by Walter Coronado Antunes, former Environment Secretary of São Paulo state, as ‘the worst engineering project in the history of hydroelectric dams in Brazil, and perhaps of any engineering project in the world’. Indians, together with human rights and environmental organizations have traveled to Brazil’s capital, Brasília, to protest against Lula’s signing of the contract. They said, ‘The government has signed a death warrant for the Xingu river and condemned thousands of residents to expulsion’. Brazilian and international organizations have published a Declaration against the Belo Monte dam, describing the signing of the contract as a ‘death sentence for the Xingu River’, and a ‘scandalous affront to international human rights conventions, Brazilian law and the Brazilian constitution’. 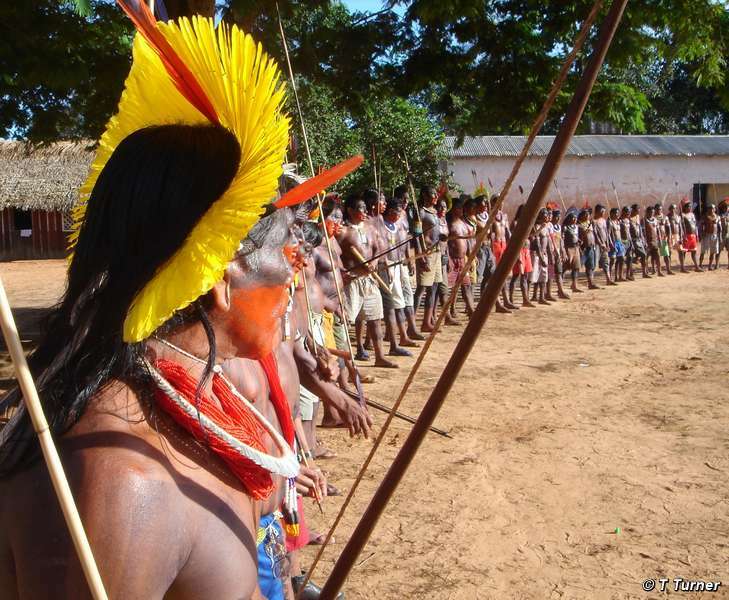 Marcos Apurinã of the Coordinating Body of Indigenous Organizations of the Brazilian Amazon (COIAB), said, ‘Our government is presenting itself as an example to the world. But here in Brazil, at least for indigenous peoples, it is not exemplary at all!’. 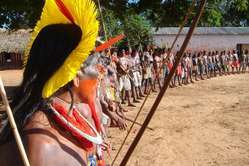 The Indians have warned that if the dam is constructed, a ‘war’ could start and the Xingu could become a ‘river of blood’. They have organized several protests against the project. Hundreds of Indians are currently participating in a protest, alongside experts, human rights and environmental organizations, and Brazil’s Public Ministry, against the Belo Monte dam, as well as the dams on the Madeira, Teles Pires and Tapajós rivers. Survival International recently published a report highlighting the devastating impacts that dams are bringing to tribal peoples worldwide. More than 80,000 workers all over the country paralyzed the work of “progress” in the form of hydroelectric plants, refineries, and thermoelectric generating facilities.